To get that vintage Instagram effect on your pictures, you don't have to use a program, now you can use CSS and get a similar result! The following trick will apply a shadow inside the image, add a back border, and on top of the image, add another semitransparent image with a grunge style that will give a vintage touch. - this effect is made with CSS and it will not recognize some browsers, especially Internet Explorer. So this effect might not work on older versions of IE. - the images are not centered, you will have to align them to the left (default) or to the right. 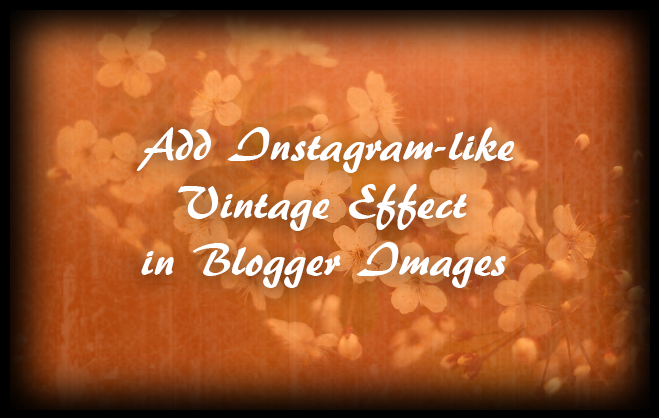 Now let's add the CSS code for applying this vintage Instagram effect on our images. Step 1. 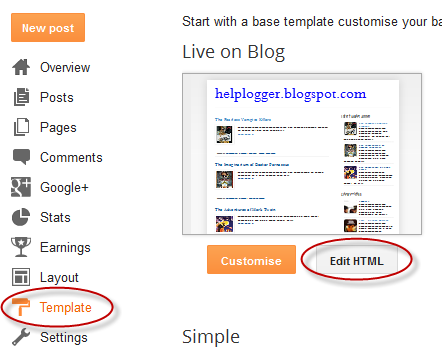 From your Blogger dashboard > go to "Template" > "Edit HTML"
Step 5. Click the "Save Template" button to save the style. Replace the text in blue with the url of your picture. And that's it, with this little experiment you can have your vintage-style images using CSS only.